Everybody knows that Fast and Furious fame Paul walker and Vin Diesel are the celeb besties and share a bond of love. 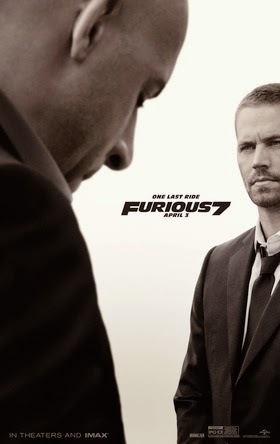 The actor Paul died in a car accident few years back and the latest version of the all-time famous movies “Furious 7” featured VD with his pal for the last time ever. Actor Vin Diesel admitted he struggles to watch the ‘Fast and Furious’ franchise following his co-star Paul Walker's death. Telly host Jimmy Kimmell played a clip of the pair in “Furious 7” as Diesel began his interview on Tuesday night. Diesel and Walker starred in all seven films of the franchise together, and formed a close friendship. The star went on to talk about his new movie. "We dropped cars out of planes. It was crazy, we had guys that had to drop out of parachutes to film some scenes; and filming cars going from building to building in Abu Dhabi was just amazing," Diesel said. The actor claimed that no other movie made this year will match the power of ‘Furious 7’, which also stars Dwayne Johnson, Michelle Rodriguez and late Paul Walker.